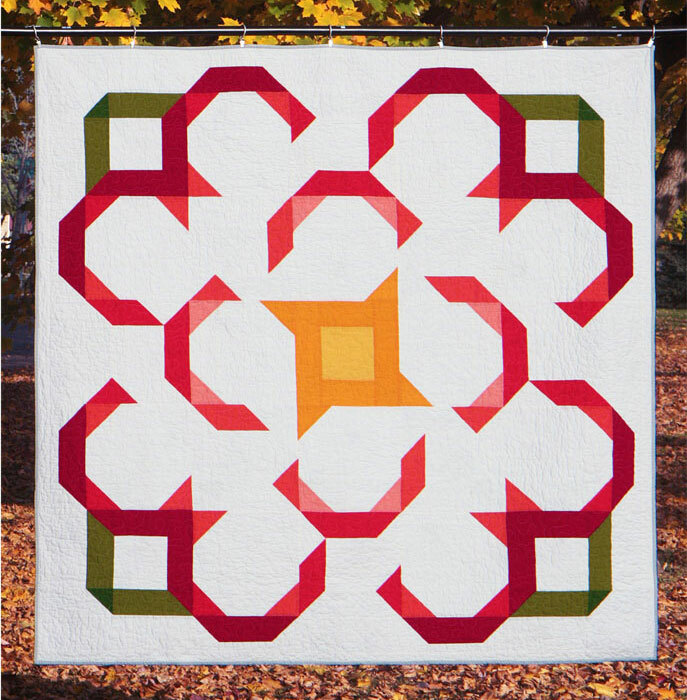 For this quilt I wanted to make a giant, graphic flower that was also very easy to piece. I used all Kaffe Fassett shot cottons instead of solids to add a little extra shimmer. This is a double-sided quilt. The other side is my Tussie Mussie quilt pattern.